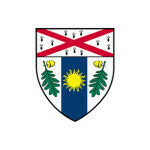 The Yale School of Forestry and Environmental Studies, founded in 1900, is the oldest institution of higher learning devoted to conservation and natural resource management in the United States. Now in its second century, the school’s research and teaching aim to provide unequalled education and training in the multiple dimensions of contemporary environmental issues toward developing solutions for a more sustainable future. FES’ mission is to provide the next generation of national and international leaders with the knowledge, skills and experience needed to advance environmental decision making, formulate effective solutions to enhance environmental goals, and meet the challenges and opportunities of environmental management, in ways that provide broad, sustainable, resilient and equitable advances for human well-being in a complex and interdependent world.